Christian university students are protesting against vice president Mike Pence being invited to speak at their graduation ceremony. 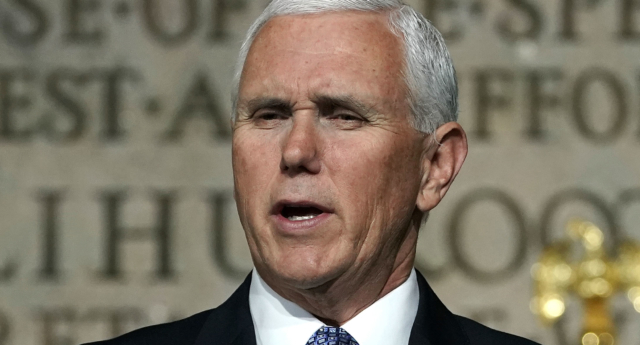 Students at Taylor University, in Pence’s home state of Indiana, argue his invitation makes them complicit in the Trump administration’s hateful policies. Some of the students point out that Pete Buttigieg, who is also an Indiana native, would be a more suitable choice for the commencement. One protester says that Buttigieg, who is an openly gay politician running as a democratic candidate for president in 2020, is more representative of their inclusive Christan beliefs. The announcement to have Mike Pence as speaker was made on April 11 on a Facebook post. Since the reveal, thousands of people have commented on social media arguing both for and against the vice president’s inclusion. According to GLADD’s Trump Accountability Project, the Trump administration has attacked LGBT+ rights 100 times since taking office. While the Department of Justice refuses to protect LGBT+ Americans from employment discrimination, and there’s been the nomination of ultra-conservative judicial nominees who can tip the consensus against LGBT+ rights.